My airline is famous for offering a small glass of sparkling wine when you fly out at the start of your vacation. 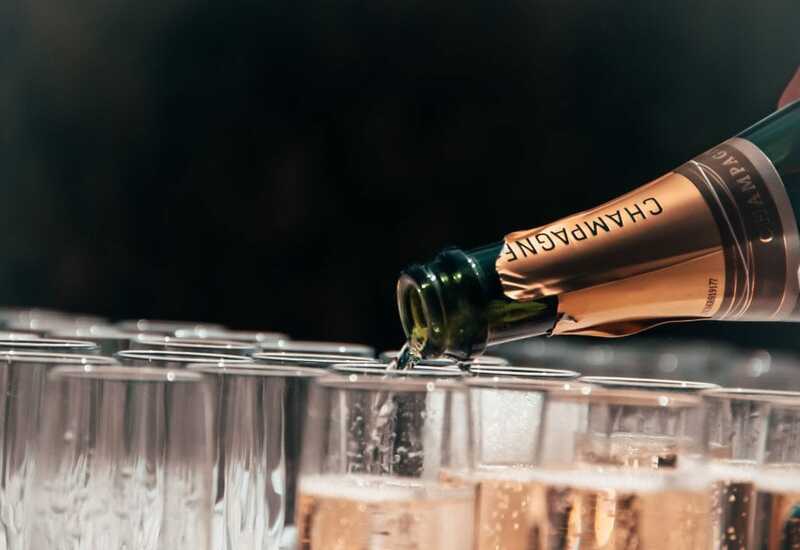 While some people complain that the glass is too small, and others that the champagne is “too cheap”, most people genuinely enjoy the experience and appreciate the fact that we offer it as a complimentary service. That is unless I spill an entire tray of it on your lap. While you’re sleeping. We had a gentleman traveling with his mother. They were pre-boarded to the aircraft, as the mother needed to be carried to her seat. She was more or less completely unable to walk on her own. When I came through with my tray of champagne and offered her a glass, I realized she (who was seated at the window seat) was unable to slide or lean over to take the glass from me. As I was trying to be accommodating, I leaned over her son to allow her to take the glass. All the while (and unbeknownst to me) the tray is tilting more and more until suddenly all the glasses tipped at once onto her son who was previously sleeping soundly in the aisle seat. Naturally he woke up shocked and startled. After my own initial shock I apologized profusely and ran to the galley to get him as much paper towel as possible. The next 10 minutes or so just consists of me getting him fresh paper towel, taking away used paper towel, and occasionally apologizing further. At one point I even noticed his sandals contained puddles of sparkling wine. When I saw this I threw on a pair of plastic gloves, took them back to the galley, and did my best to rinse them out. Luckily he was very nice. I don’t think he got mad at all, although he was upset. Naturally. Once I had him all cleaned up, or at least as clean as possible, I apologized one last time. I also let him know if he wanted anything from the bar it would be on me. From then on he was fine. Although I still felt bad about it. I’ve never spilled a tray before, even during turbulence. At that moment I was just glad we serve our sparkling wine in plastic cups as opposed to glass. Funny enough I flew him and his mother home the next week. Needless to say I didn’t go anywhere near either of them with any trays on that flight. What Happens When Pouring Diet Coke on an Airplane?